What do you think causes/encourages the kind of behaviors in expatriate communities like the one in Vientiane? Does this only happen overseas? Have you had to deal with someone like Sophia? What happened? Was it a satisfactory resolution to the dilemma? Why or why not? Have you been in a situation where someone consistently hurt others? Did anyone try to put a stop to it? What was the result? Have you read Agatha Christie’s Miss Marple mysteries? How is Anjali the same or different from Miss Marple? Why? Anjali lives in a multicultural, international community. How does this affect her life, what she feels she can and can’t do? Have you lived in another culture? What were your experiences? Did you sometimes find it hard to figure out what was going on? What did you do to solve this challenge? Should Anjali have tried to learn the Lao language? Why or why not? Anjali’s household staff help her understand Lao culture. How do they do this? Through direct “teaching” and/or other ways? Everyone in the story has changed because of their international experiences. They are no longer 100% American or Indian or whatever their original nationality was. What do you think about this? 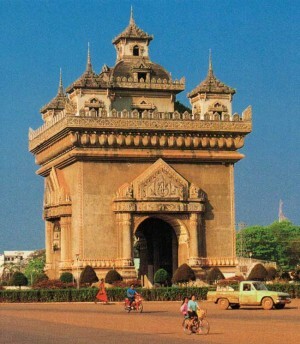 Anjali feels she must keep a low profile in Vientiane because of what happened in Hanoi. Are you sympathetic to her decision? Why or why not? With whom did you most identify in the story? With whom were you most sympathetic? With whom the least? What did you think of Wilhelmina and the two cultures vying within her? Have you experienced such a quandary? Or known someone who did? How did you feel about Moira’s insights in the beginning? And in the end? How did you react when Philip broke down and wept? What made him do that? Do grown men cry? Is it okay? What three words would you use to describe Sophia? What three words for Anjali? Anjali’s feelings about Sophia change as the story goes on. What about yours? How did you feel about Sophia in the beginning and in the end? What about Cyril? How did you see him in the beginning and in the end? There are a lot of relationships in this story — Anjali and KB, Suneeta and Raj, Philip and Frieda plus all the ones Sophia had — with Tom, Catherine, Karen, Jackie. Which one affected you the most and why? Of all the people that Sophia hurt, Frieda and Karen were most nearly destroyed. Why was each of them so vulnerable to Sophia? With whom were you most sympathetic? Why? Wilhelmina was least vulnerable to Sophia’s efforts to hurt her. Why might that be so? How did you feel about Jackie? Did your feelings about her change as the story unrolled? Can you imagine yourself in her shoes? What would you have done? Anjali must act through others when she discovers what Cyril has done. How did you feel about that? Have you ever had to do the same? What was the result? Do you suspect that there’s more to the explanation of Sophia’s death? How do you think Sophia ended up in the Mekong? In the beginning, the authorities wanted to do what was best for everyone. What does Anjali do in the end? Did she do the right thing? What would you have done?